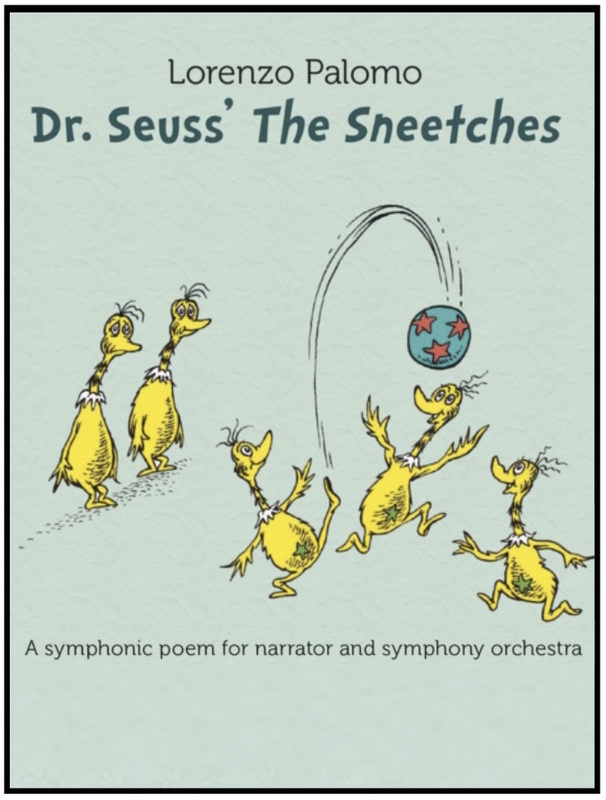 Dr. Seuss's The Sneetches is a symphonic poem for narrator and orchestra by the Spanish composer Lorenzo Palomo. at the Kimmel Center's Verizon Hall with Maestro Cristian Macelaru and The Philadelphia Orchestra. Three Fun Fables is a suite of humorous Aesop's fables for narrator and orchestra by the Daniel Dorff. The program includes: The Fox and the Crow (featuring Trumpet and Contrabass), The Dog and his Reflection (featuring Trombone and Violin/Harp/Percussion), and The Tortoise and the Hare (featuring Contrabassoon and Clarinet). with Maestro Paul Haas and New Jersey's Symphony in C.